The Indiana Department of Transportation officially released $115 million in state-matching funds on March 26 to 189 Indiana cities, towns, and counties to support local road projects through the “community crossings initiative” that is part of the state’s overall Next Level Roads program. The governor added that Indiana’s community crossings initiative has provided more than $500 million in state matching funds for construction projects over the last two years, with the most recent $115 million disbursement garnering 229 applications. 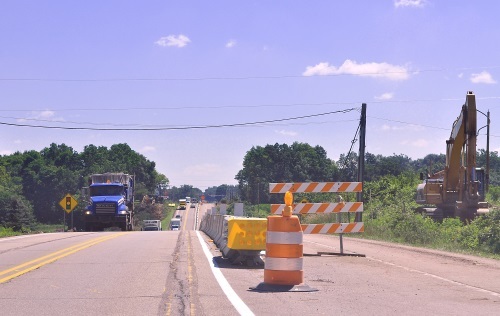 In response to local requests to help manage project flow, INDOT Commissioner Joe McGuinness said his agency now accepts applications in both January and July, with a $1 million annual cap per application per community. He estimated that $100 million will be available for communities that apply during the 2019 “summer call” for projects, with state law requiring that 50 percent of the available matching funds be awarded on an annual basis to communities within counties with a population of 50,000 or fewer. To qualify for funding, local governments must provide local matching funds – 50 percent for larger communities or 25 percent for smaller communities – from a funding source approved for road and bridge construction. They must also submit an INDOT-approved asset management plan for maintaining existing roads and bridges.